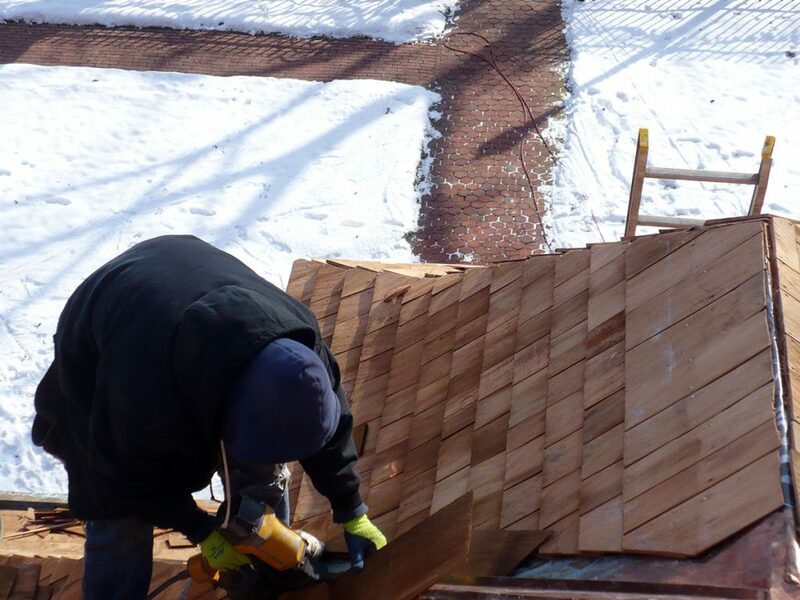 A cedar roof provides particularly good insulating properties, especially for larger homes. A well-insulated home means staying warmer in the winter and cooler in summer, contributing substantially to a lower energy cost. 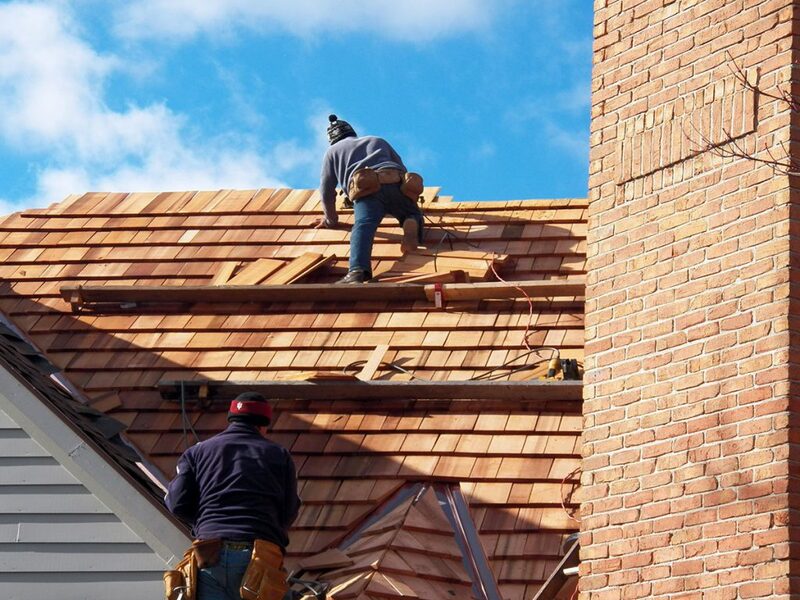 Because of its superior insulating ability, homes with cedar shake roofs tend to be quieter than homes with asphalt shingles. 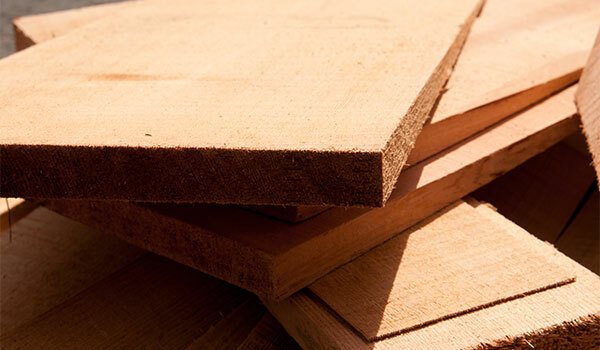 Cedar is a natural, hail resistant product. 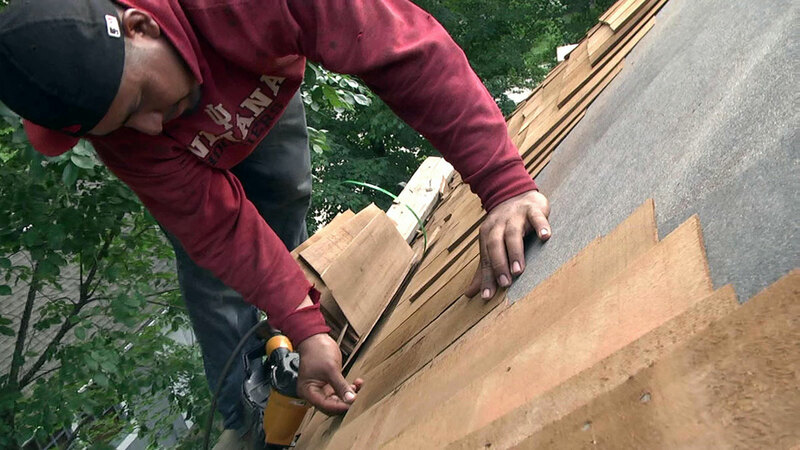 A properly installed and maintained cedar shake roof can last up to 50 years. Our trained, CSSB approved installers have worked as a team together for many years. They follow the stringent guidelines and standards of the Cedar Bureau Manual. 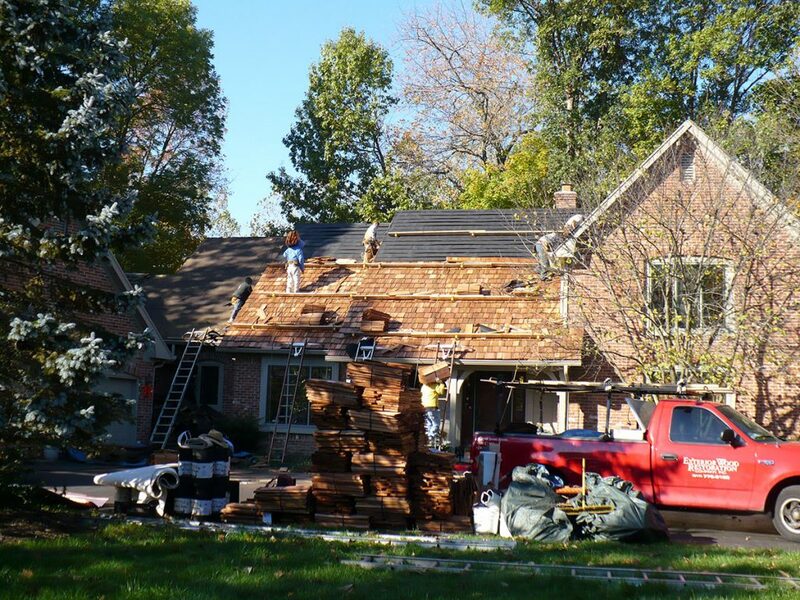 Installation is always in accordance with local building codes. 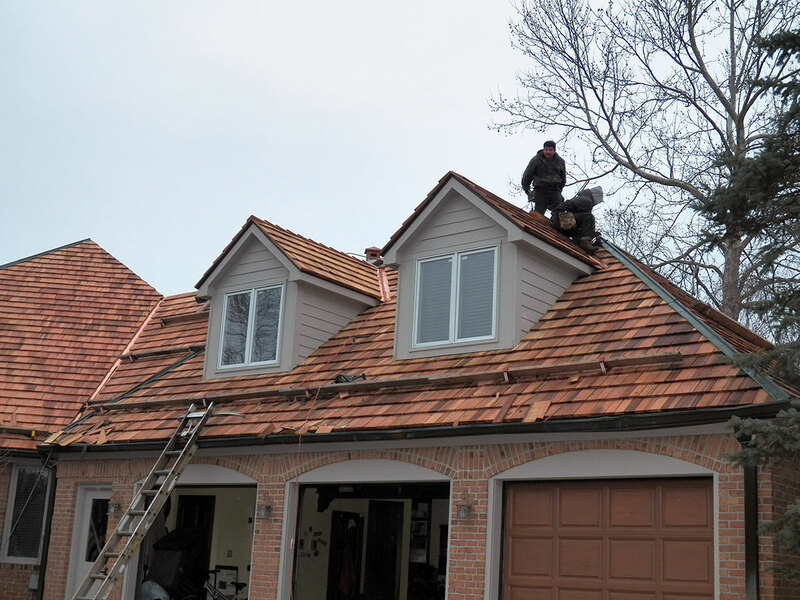 With superior products and top of the line crew, the end result is a beautiful, high quality roofing system guaranteed to aesthetically enhance your home as well as outperform a traditional roof. Exterior Wood Restoration only purchases top of the line, CSSB certified Blue Label Premium #1 shakes which we order directly from mills in the U.S. and Canada. 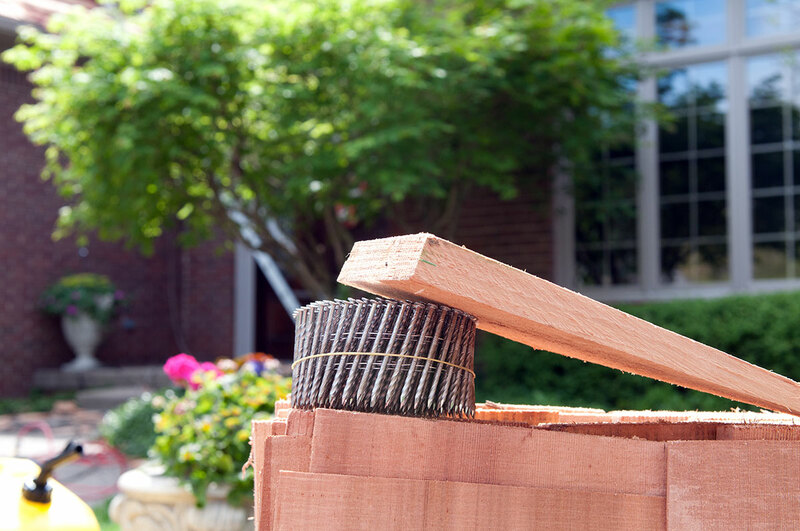 We take great care to find the best possible materials that will provide the longest lasting beauty to your home. 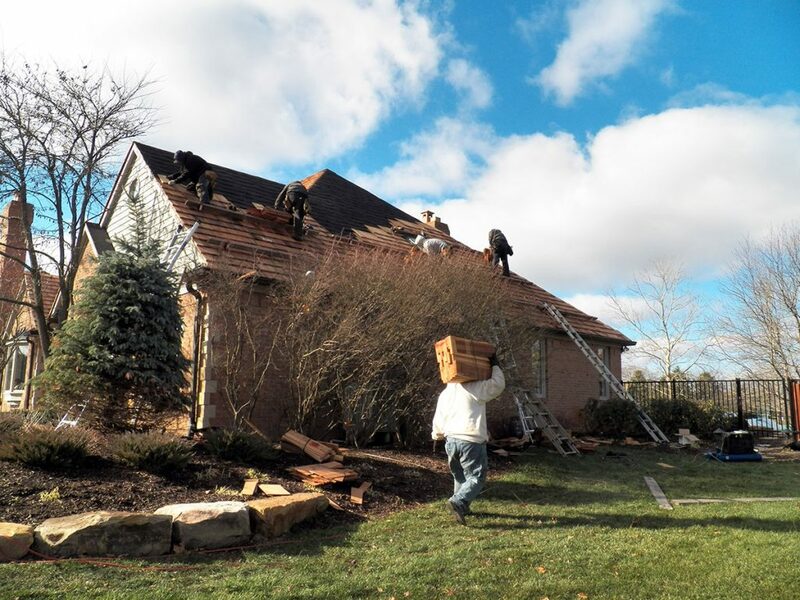 Once your project is approved and materials arrive, our certified crew will remove your old roof taking care to protect your property and landscaping. All debris is cleaned up daily. The shakes are applied by hand leaving a 3/8″ to 5/8″ keyway between shakes. They are then carefully trimmed to fit and can either be applied evenly or in a staggered pattern depending on your personal preference. 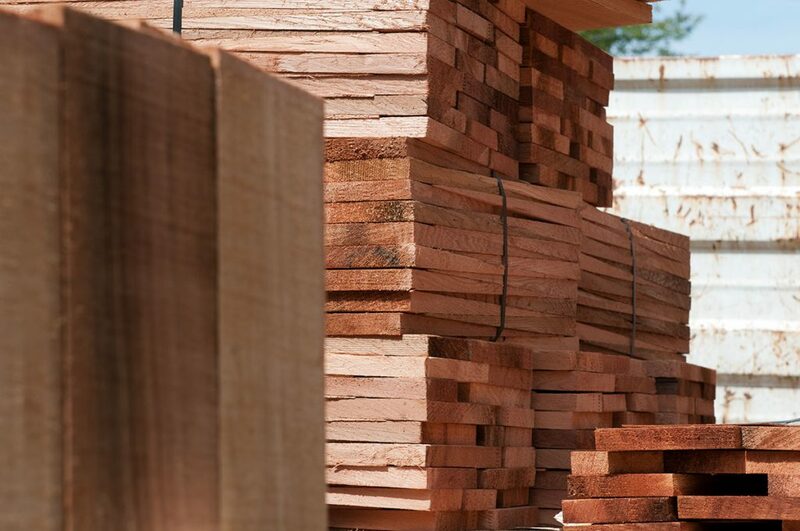 Cedar Breather can also be installed which allows air flow beneath shakes, drying them more quickly and enhancing the longevity of your roof. 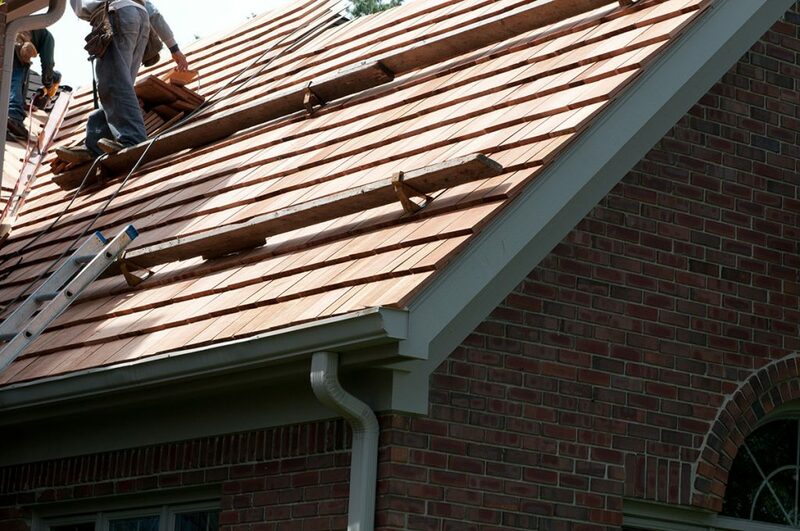 We recommend replacing all flashing on your home with copper which lasts longer than other metal flashings. 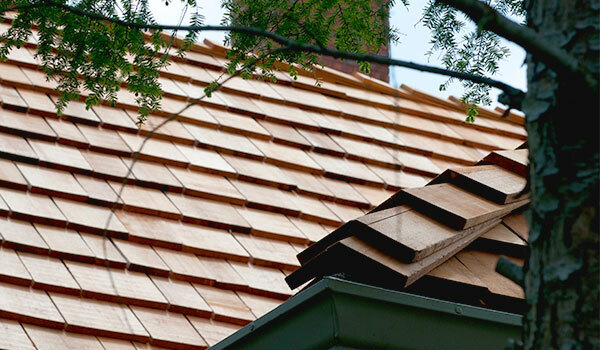 Our coppersmiths hand make all new step flashings and chimney flashings on site. 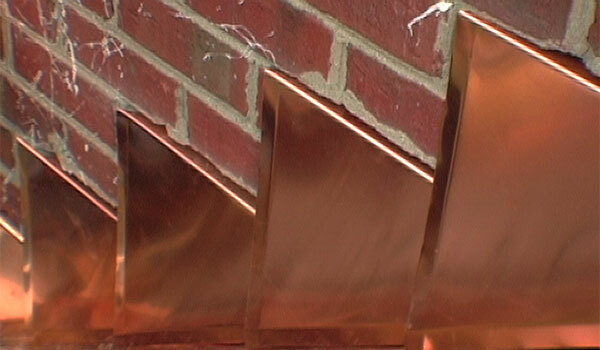 We will also install new copper valleys to all valley areas of your home. There are several options for venting your roof, including ridge vents, power vents or box vents. 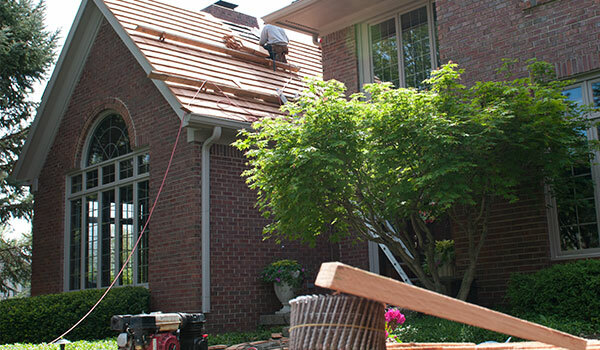 Our professionals will discuss the best options for your home. Finally, hip and ridge caps are installed to complete the project. The CSSB offers a limited lifetime warranty. 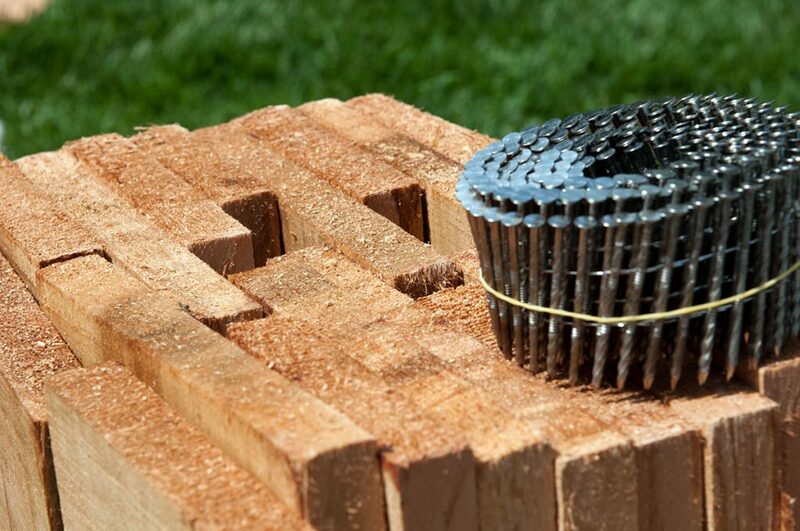 CSSB member mills also offer material warranties for the products we use. We will meet personally with you to apply for these warranties. 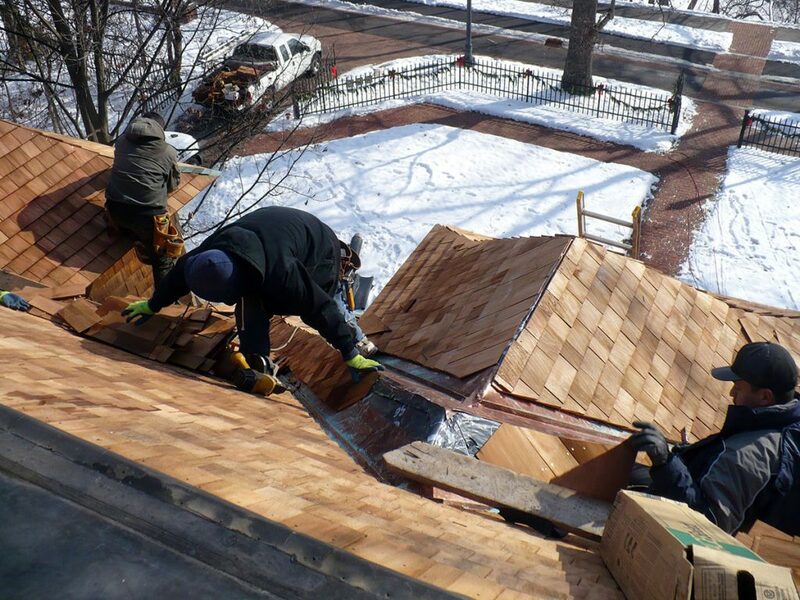 Exterior Wood Restoration offers its own 20 year installation warranty as well.